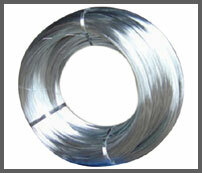 Annealed Wire is made of Low carbon steel wire available in sizes ranging from 0.25 to 4.00mm. Used for weaving, baling in general. Applied for home use and the construction. Annealed wire is obtained by means of thermal annealing, endowing it with the properties it needs for its main use - setting. This wire is deployed both in civil construction and in agriculture. 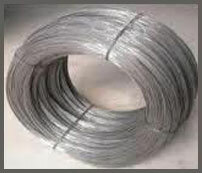 Hence, in civil construction annealed wire, also known as “burnt wire” is used for iron setting. In agriculture annealed wire is used for bailing hay. G.I. Wires in size range 0.15mm to 5.00mm, of consistent mechanical properties, uniform zinc coating, bright surface finish. 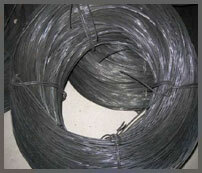 These are mild carbon steel wires, which are coated with Zinc , so as to impart the base wire with superior properties. The Zinc coated galvanized wires are highly resistant to Moisture and mechanical damage (than other surface coatings), and have a very bright and smooth surface finish. Manufacturing of bolts, nails, automotive cables, shaped wires and handicraft items.